Hanoi (VNA) – Climate risk management, covering climate risk insurance, is playing an increasingly important role in preventing and mitigating losses caused by climate change, experts said at a workshop in Hanoi on April 8. Pham Huu Due – head of the National Assembly Office’s bureau of science, technology, and environment – pointed out the increased frequency of climate change-related natural disasters which have threatened the lives and livelihoods of many people, especially those in poorer communities. Therefore, climate change combat requires more solutions on state management, he said, suggesting enhancing the public’s climate change adaptation capacity and promoting international cooperation in this regard. 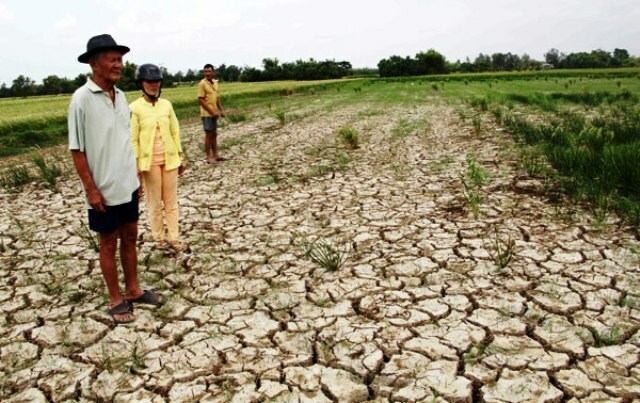 Vu Thi Bich Hop, Chairwoman of the Network of Vietnamese Non-Governmental Organisations and Climate Change (VNGO&CC), said the impacts of climate change are becoming more intense, causing great losses to people, natural resources, and socio-economic activities in Vietnam. The scale of damage has increased four-fold since 1992, she said, warning that risks and extreme weather events like droughts, flooding and typhoons will only increase in the future. According to Hop, natural disasters killed more than 13,000 people in Vietnam and caused property losses worth over 6.4 billion USD between 1995 and 2016. Given this, she suggested improving skills and measures to implement climate change adaptation activities for local officials; supporting localities in setting forth climate change adaptation plans with the participation of authorities, agencies, and residents; and integrating climate change adaptation activities into local socio-economic development plans. Vietnam ranked sixth on the Global Climate Risk Index 2019, which was released at the 24th Conference of the Parties to the United Nations Framework Convention on Climate Change (COP24) in Poland in December 2018.